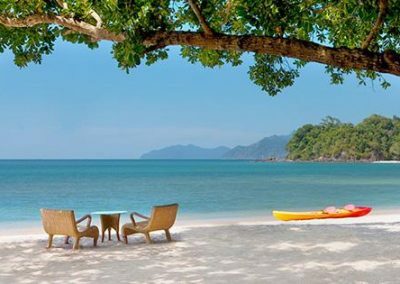 Arrive at Port Blair and you will be taken to your hotel where you relax and rest . After lunch proceed for local sightseeing of Port Blair. Visit Corbyns Cove Beach. Later you will be taken to Cellular Jail (closed on Mondays) to enjoy beautiful Light and Sound show. Evening is free for leisure activities. Overnight at the hotel. 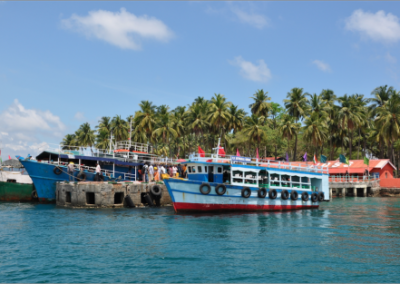 After breakfast, you will proceed from Port Blair to Havelock by Makruzz ferry. On arrival proceed to your hotel. In the afternoon proceed to Beach No 7* (Radhanagar Beach) rated as the ‘Best Beach in Asia’ by Times Magazine. Watch a mesmerizing sunset on Beach no.7 before returning to your hotel to relax and unwind. Overnight at the hotel. 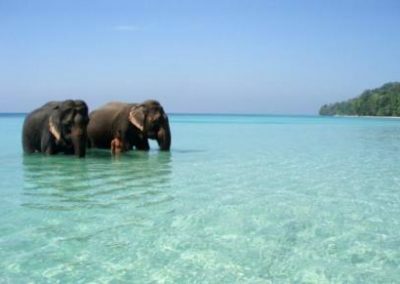 After breakfast you will embark on the most memorable snorkelling trip to Elephant Beach, just 40 min by Boat. This beach offers snorkelers a calm blue crystal clear shallow waters and is the perfect spot for beginner snorkelers. 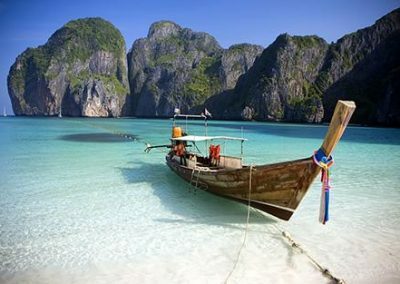 The boat goes right up to the beach and it’s so easy to slip on your gear and just start snorkelling. It’s also a great place to just spend the day lying on the beach and relaxing. The beach is very scenic with fallen trees and white sand giving the photographer some interesting shots. The reef here starts very close to shore at a depth of about 1 metre. The large reef is mostly made up of hard coral and has plenty of marine life. (Note- This trip is subject to weather conditions and visibility). Overnight at the hotel. After breakfast you will check-out from your hotel. The rest of the morning is free for activities on your own. In the afternoon you will proceed to Port Blair by Makruzz Ferry. Upon arrival, visit the Anthropological Museum, Samudrika Museum & Naval Fisheries Museum (Closed on Mondays). The evening is at leisure. Overnight at the hotel. In the morning, you will be taken for once in a lifetime “Undersea Walk” experience surrounded by Incredible Aqua Life at North Bay Island. Even a non swimmer can comfortably enjoy this tour. Later you will be taken to Ross Island by boat. This Island was the erstwhile capital of Port Blair during the British regime. The island presently houses the ruins of old buildings like Ballroom, Chief Commissioners House, Govt. House, Church, Hospital, Bakery, Press, Swimming Pool and Troop Barracks, all in dilapidated condition, reminiscent of the old British regime. This island is an ideal destination for nature walk amidst sylvan surroundings with deer, peacocks, exotic birds, etc. Post lunch, you will proceed for Harbour Cruise on Viber Island. Overnight at the hotel.